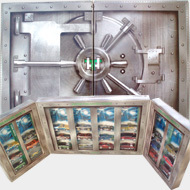 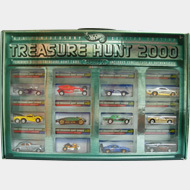 Each year Mattel has released a complete set of Treasure Hunts. 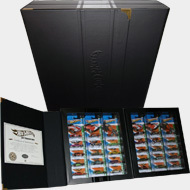 They include a certificate of authenticity and have been limited to between 1500 and 5000. 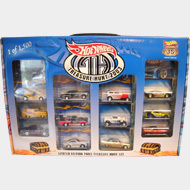 From 1995 through 2002 they were available from JC Penney. 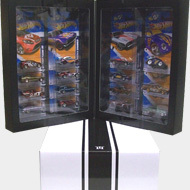 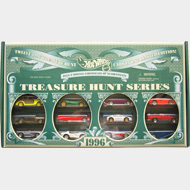 As of 2003, the sets have been sold to Red Line Club members at hotwheelscollectors.com. 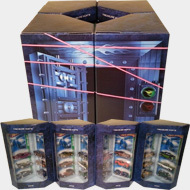 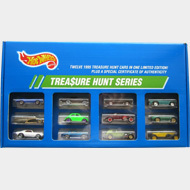 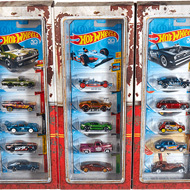 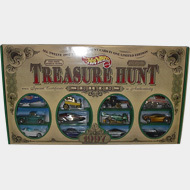 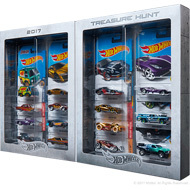 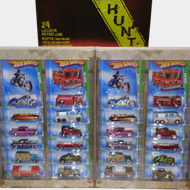 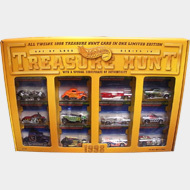 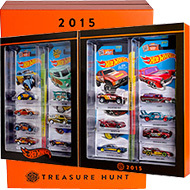 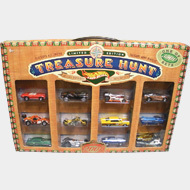 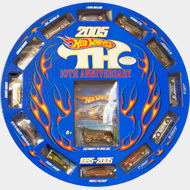 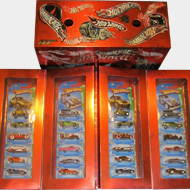 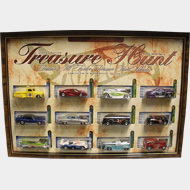 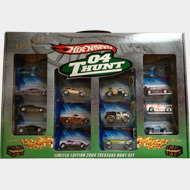 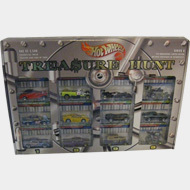 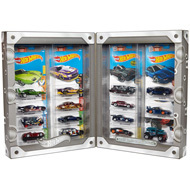 This 15 vehicle set includes all of the 2014 Super T-Hunts packaged in a two-panel collector box with the Treasure Hunt logo….